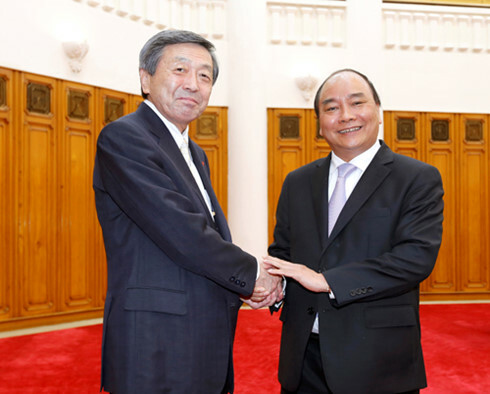 Prime Minister Nguyen Xuan Phuc met Japanese Ambassador Fukada Hiroshi – the first guest of the new government, during a reception in Hanoi on April 9. 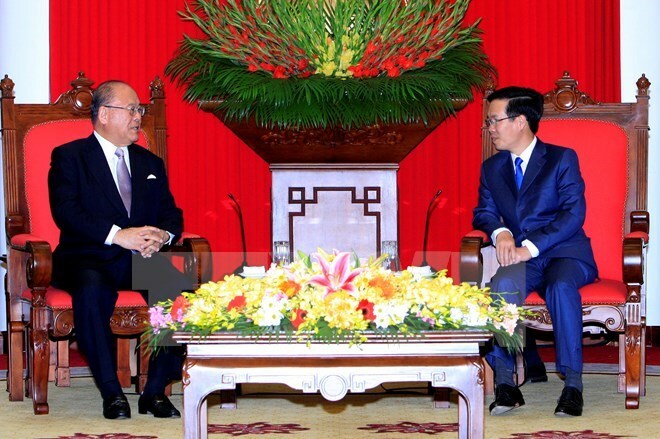 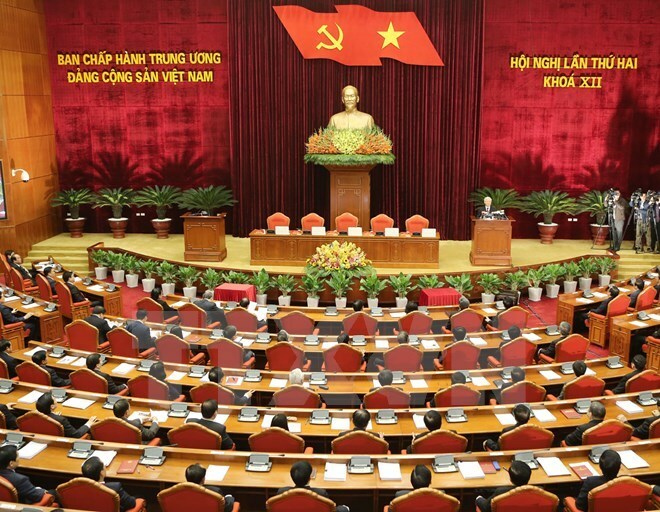 Prime Minister Nguyen Xuan Phuc (R) and Japanese Ambassador Fukada Hiroshi The PM informed his guest that the Vietnamese National Assembly approved the appointment of 21 Cabinet members, in the morning of the same day. 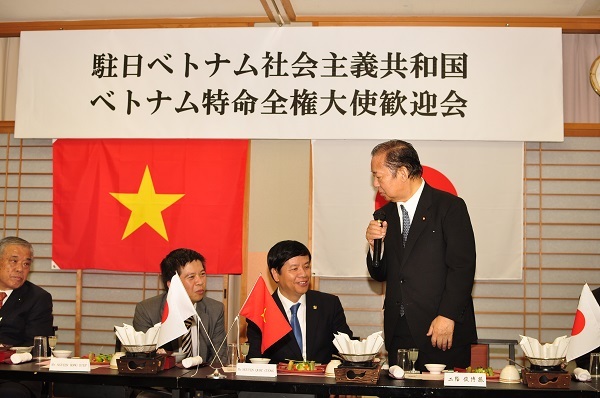 With its population of over 90 million, Việt Nam is considered a promising market for Japanese retailers, and firms like 7-Eleven, FamilyMart, Lawson and Ministop have all revealed plans to either enter or expand their business in the country. 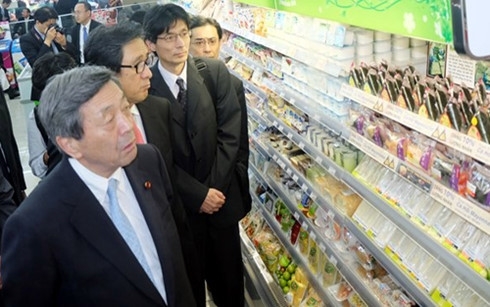 Japanese Minister of Economy, Trade and Industry Motoo Hayashi (first left) visis Family Mart and Ministop stores in HCM City on Sunday. 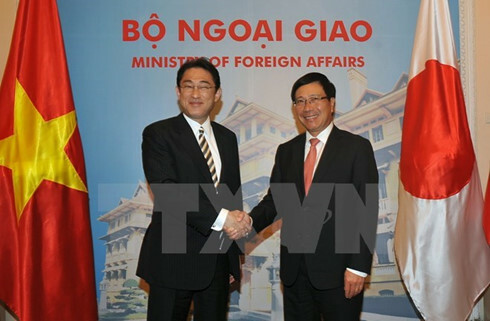 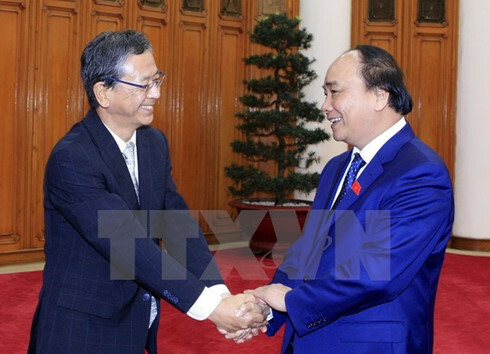 Politburo member Vo Van Thuong hosted a reception in Hanoi on March 7 for Tsutomu Takebe, special advisor to the Japan-Vietnam Friendship Parliamentary Alliance, who affirmed his continued contributions to developing the two countries’ relations.